Please note: We ship Monday thru Wednesday WEATHER permitting. Order Highbourne Deer Farms’ USDA inspected locally raised and produced venison online now and we’ll ship safely to your door. After you submit your order, we immediatley pack your freshly frozen products and contact you by phone to ensure that you will be expecting the shipment. Read about the nutritious benefits of venison. Established in 1990, Highbourne Deer Farm is located in Pennsylvania. At Highbourne Deer Farms, we raise red deer for their many resources and primarily engage in scientific breeding and selling deer breeding stock. Our other main focus is on marketing venison to wholesalers, retailers, restaurants, and individuals. We also participate in the Velvet Antler and Leather Goods markets. When purchasing products with the Pennsylvania Preferred® logo, consumers will know that they have found foods grown and processed under some of the world’s most stringent food safety standards; nursery products grown to thrive in Pennsylvania’s soil and climate; and furniture and hardwood products made from the best quality wood in the world. Improve your health. 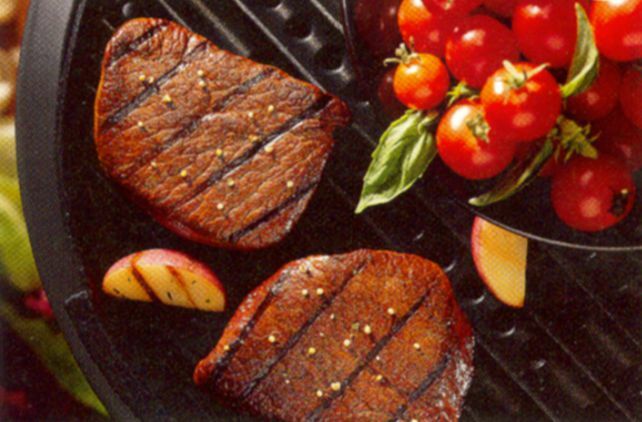 Eat Venison… the Heart Healthy Red Meat.